Merry Christmas and Happy Holidays one and all! I hope you had a wonderful time over the festive period! I spent Christmas with the ones i love and had an amazing time. I wasn't sure whether or not to do a 'Christmas Present' post but as its a post i love reading myself (through pure nosiness) i thought i would give a sneak peak into some of the pressies i received! It is safe to say i am absolutely thrilled with everything i received from my wonderful family and friends! I also received the usual christmas bits such as pyjamas, underwear and lots of money that i am still unsure what to spend on! Did you all have a lovely festive period? heyy would love if you could check out my blog? Love the post, I'm exactly like you, so nosey! 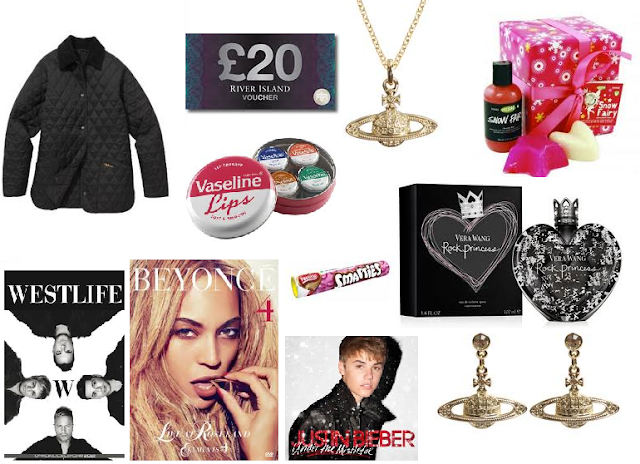 Love seeing what everyone else has got, gives me ideas on what to spend Christmas money on. I love the Vivenne Westwood jewellery! So many of my friends have got the Beyonce DVD can't wait to see it.